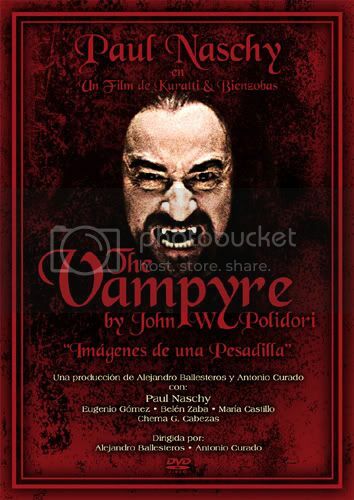 This short film, subtitled “Images from a Nightmare”, is one of the very few produced based on John Polidori’s short story ‘The Vampyre’. 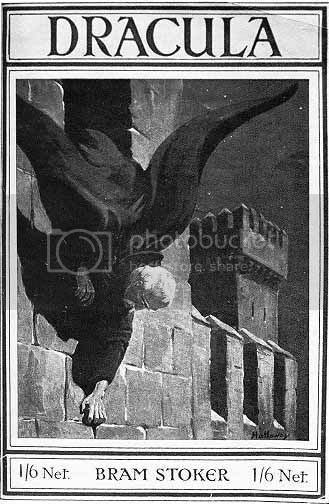 In fact the only film I can think of, off the top of my head, based on this tale is The Vampire’s Ghost, and that film is only very loosely based on the story. This lack of movie interest in the story is, quite frankly, befuddling as Polidori’s work was the first English language vampire story and introduced the nobleman vampire. The reason that this is an honourable mention, rather than a review, is due to the film not yet being commercially available (at the time of posting). It was directed by Alejandro Ballesteros and Antonio Curado and I mentioned it on the blog a little while ago – the earlier posting links to the film’s blog, where you can see a streaming Spanish language version. As a result of the post I was lucky enough to be contacted by Antonio Curado who sent me a subtitled DVD of the film. There are currently talks ongoing about it being added as an extra on a forthcoming Paul Naschy release. For, indeed, this stars Naschy as Lord Rutven (as Ruthven is called in this) and, whilst curtailed slightly by the 24 minute running time, this follows fairly accurately the story as laid out by Polidori. 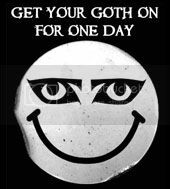 It does not travel across Western Europe as the original does, understandable given the constraints, but for an accurate portrayal of the story this is the only film available – and it does an admirable job. For those unfamiliar with the tale it follows an orphan Aubrey (Eugenio Gómez) who is new to society circles. 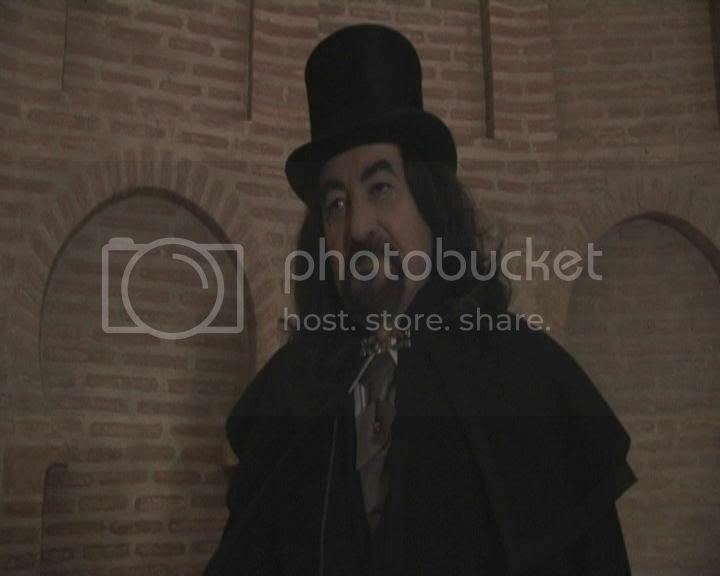 In this adaptation he has already met Rutven and is taken to the party of Lord Mercer (Chema G Cabezas). At the party Rutven is attracted to Mercer’s daughter, Augusta (María Castillo) and later we see her, in a wonderfully stylised scene, plagued by demons and self flagellating as Rutven looks on. Things are not well between Aubrey and Rutven but the young man seems swayed to sympathy by the Lord’s words. However Rutven is attacked and stabbed. He dies but convinces Aubrey to tell no one about his death. Aubrey later meets a young lady, named Iante (Belén Zaba), and falls in love. However Rutven has revived and she becomes the object of his unholy thirst. The musical score that accompanies this is marvellous but one piece stands out as unusual, actually played during the scenes between Rutven and Iante, and that is the inclusion of Swan Lake. One wonders whether the inclusion was a deliberate nod to Dracula (1931) as the music is used on the opening credits of the classic fim. There are certainly other Dracula orientated moments such as the inclusion of the line ‘I never drink wine’ plus the hand movements adopted by Naschy, at one point, are very reminiscent of Lugosi. Given the source material, which is much older than the Dracula source material, these references are interesting but never feel out of place. The whole cast does well but I must give mention to Naschy especially as I actually think this is some of the best work I have ever seen him do. There is some quite lovely cinematography used and I was very impressed with the artistic interpretation of the descent into madness, which felt marvellously claustrophobic and summoned definite feelings of anxiety. This is most definitely a worthwhile addition to the genre and deserves to be commercially available. At the time of posting there is no imdb page.